As the Cold War thawed, the world’s communist states began to adopt free market economics in their own distinctive manner: the Soviet Union pursued perestroika while Deng Xiaoping moved toward ‘Socialism with Chinese Characteristics.’ In 1986, Vietnam’s socialist leaders introduced a program for reform known as ‘Doi Moi.’ Doi Moi, literally translated as renovation, consisted of six key policy initiatives, one of which aimed specifically to allow nationalized and private enterprises to actively engage with the international capitalist economy. 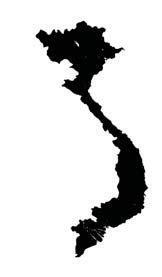 Over the past 20 years these policies have strengthened the Vietnamese economy beyond recognition and Vietnam has attracted significant amounts of foreign investment. Statistics from the Ministry of Planning and Investment state that by March 2007 the country had received 7,067 FDI projects with a total value of US$63.5 billion. The ‘Doi Moi’ reforms reached a significant landmark when the country joined the World Trade Organization (WTO) in January last year. One of those to praise Vietnam’s entry into the WTO was Masayuki Karasawa, Chief Representative of the Japan Bank for International Cooperation in Vietnam who heralded the accession as a positive moment for global commerce. And little wonder given that Japan is one of the largest foreign investors in the country with its FDI totaling over US$8.8 billion and bilateral trade between the two countries reaching up to US$10 billion. The ties are cross-industry: Olympus are furthering their investment by planning to build a major Vietnamese plant in 2008, Japanese supermarket chain Seiyu plans to open more stores, and Mizuho bank is continuously boosting its investment and retail arm in the country. Other companies from around the world are also getting more involved such as HSBC from the UK and Alacatel–Lucent from France—the latter of which has just concluded a multi-million dollar deal with the Vietnamese government to provide telecommunications infrastructure. As well as joining the WTO, Vietnam also benefits from having the World Bank on its side. The bank’s Multilateral Investment Guarantee Agency (MIGA) guarantees capital investment against political risks which has inspired confidence in foreign speculators. Viewing the country as an ‘Asian Tiger’ in the making, the World Bank has been particularly keen to improve Vietnam’s power infrastructure and it boasts a portfolio of US$1 billion in this sector as well as providing guarantees—from MIGA—for multiple projects at the Phu My power complex—the largest of its kind in the country. Other multilateral institutions have also shown an interest with the Asian Development Bank voting US$700,000 of development assistance aid in November 2007. Japan has been the largest single country in its provision of development aid totaling US$800 million for the last year. Such significant growth in development aid and project finance indicate that the country has made itself friendly to the international market. 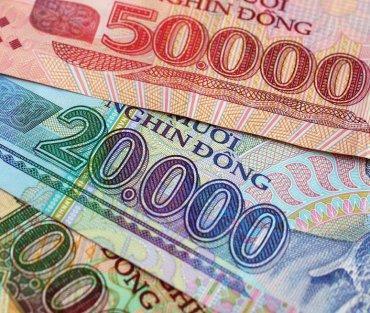 Karl D John, CEO of the TCK Group, which advises on entry into the Vietnamese market for foreign companies, explains that the new Land Law and Personal Income Tax Law have cut out a degree of discrimination and uncertainty for foreign business people. He adds, “Prime Minister Dung has personally taken the lead to present Vietnam on the world stage. His historical visit to meet the Pope at the Vatican, the first by a Vietnamese Prime Minister, was a clear sign that things are changing and that Vietnam really is assimilating into the global community.” Indeed such efforts appeared to have paid off politically as well as economically with the country’s UN Ambassador, Le Luong Minh, being elected to the Chairmanship of the UN Security Council effective from July 2008. However, the lure for many foreign companies lies not only in Vietnam’s reforms and relative political stability, but in its cheaper labor costs, giving even China a run for its money—Vietnamese workers earn on average between US$50–100 per month, about half of what is earned in China. This ‘cheap sweat,’ as it is often called in the media, may also have worrying social side-effects but a Vietnamese IT industry insider assured us that Vietnam is taking advantage of foreign presence in order to enhance its technical ability. He explained that there is an “education revolution” taking place in Vietnam, particularly in the IT industry that is seeing graduates come out with programming skills that are useful not only on the foreign labor market but also potentially for domestic research and development initiatives. The sectors where there has been a significant rise in foreign activity are supermarkets and banking. In the former France’s Bourbon Corp, Japan’s Seiyu and Malaysia’s Parkson have all entered the market via M&A activity. According to the Vietnam Investment Review, the supermarket sector is booming and it forecasts that Germany’s Metro Cash & Carry, the first foreign supermarket to open in the country, to account for 30% of retails sales in 2010. In banking there have also been some big moves by foreign players such as BNP Paribas who have partnered with the Oriental Commercial Bank while Australia’s ANZ did a deal with Sacombank. Karl D John expects the insurance, IT and tourism sectors will also see an increased interest and HSBC has already entered into a strategic relationship with local insurer, Bao Viet.